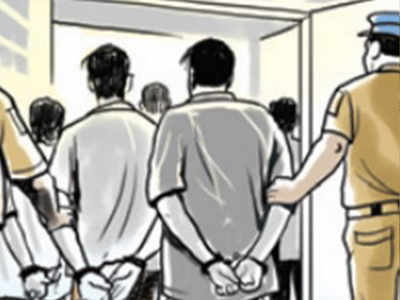 Vadodara: The Special Operations Group (SOG) of city police arrested a man on Saturday who was wanted in connection with an attempt to murder case registered at Bapod police station on February 18. Sufiyan Saiyed was arrested from a ‘dargah’ in Tandalja on Saturday morning. “One of our constables had received the information that Saiyed is wanted in the case and he is going to come to Tandalja after which our team was kept watch in the area,” said a police official. The police said that when the complainant Ismail Malek‘s son Salman had gone to Saiyed’s house on Ajwa Road with his brother Shehzad and other friends. Saiyed was teasing Salman following which Shehzad had asked Saiyed not to tease his brother. The duo got into an argument after which Saiyed stabbed Shehzad with a knife on his abdomen. Shehzad was rushed to a private hospital while Saiyed was on run after the incident. The police said that Saiyed was arrested last year by Waghodia police in connection with a loot case and by Bapod police for stealing battery of a mobile tower.